I was invited to be a guest speaker at a friend's nutrition class. She teaches a basic nutrition class at a local community college. The students taking her class range in age from about 19 to maybe 50, with a diverse background. She explained that most are taking their class because they have a personal interest in learning more about they should eat, not necessarily because they would like to become nutritionists. The curriculum includes standard text books with information that comes from the USDA and the ADA. Fat is bad, saturated fat is terrible, cholesterol is bad, 60% of your diet should be carbohydrates - yadda, yadda, yadda. Yet most of her students were asking questions about organic foods, GMO's and raw milk. Therefore she asked me to come and answer some of these questions about a more natural approach to nutrition. We spent a bit of time on raw milk vs. pasteurized milk. I had refreshed my knowledge with a PowerPoint from the Campaign for Raw Milk. We discussed organics, what the labeling means and it is really healthier. And we briefly talked about genetically modified organisms and food. 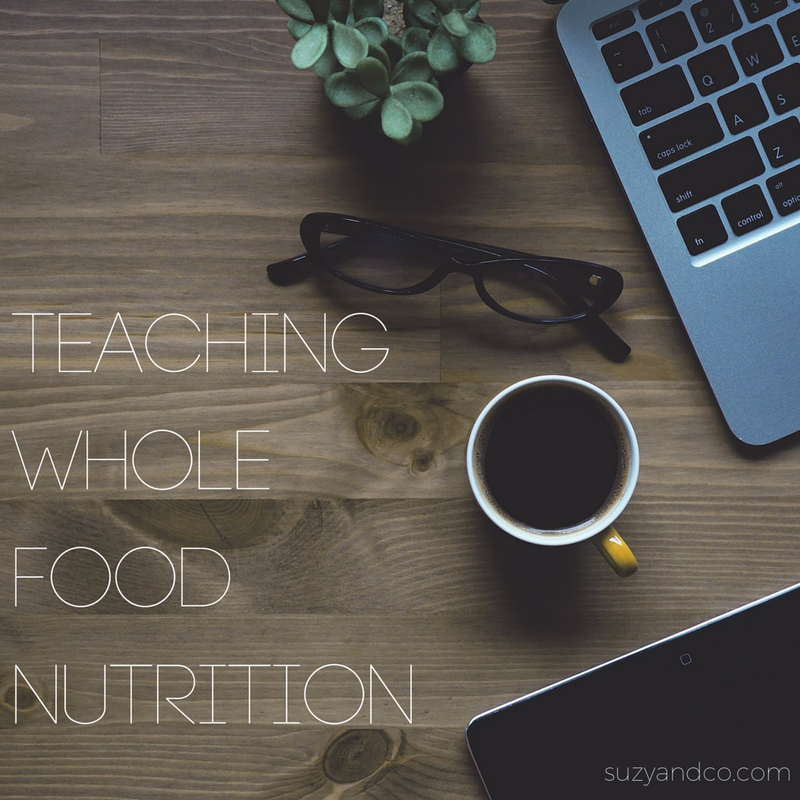 Since speaking to the class I have had a renewed interest in researching, writing about and learning more about whole foods nutrition. It is a topic I am passionate about and I loved answering their questions and hopefully providing them with a more balanced view of their own approach to eating. At times I have felt that when I am writing about a more natural approach to nutrition, I am not saying anything new. Maybe because most of the websites I subscribe to also have the same philosophy and blog on many of the same ideas. Yet being in this class with these students made me realize that although it seems so many people already have this information, most do not. I have felt "surrounded" by whole foods people, questioning if I have more information to offer than what is already out there. I now realize that although there may be many people writing about the same topics, they are not reaching everyone. There are still a lot of people who are not exposed to the same things and do not have the same knowledge. I may be able to reach different people, like the ones in the nutrition class.